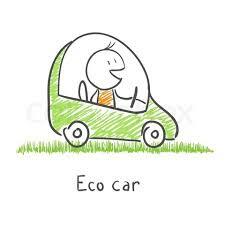 Attaining a greener lifestyle does not have to be expensive or time-consuming. In fact, some minor changes actually cut expenses and have a positive impact on your health and quality of life. Making your daily routine more sustainable can be as simple as learning some green basics, modifying your habits, and making informed choices. HERE ARE FIVE EASY CHANGES TO MAKE. Recycling waste, such as plastics, paper, and glass, costs almost nothing and it preserves natural resources and keeps trash out of landfills. When shopping for new products, look for items made from recycled content. Also safely dispose of electronics and household goods, such as paint, chemicals, and unused prescriptions. Learn more at Earth911.com. Instead of using the disposal or tossing food scraps, compost them. Composting keeps trash out of landfills and provides a natural way to enrich garden soil. Even unexpected things, like wooden spoons, dryer lint, and cardboard Q-tips, are compostable. Learn more at MasterComposter.com and EPA.gov. Though we associate that stout lemon scent with cleanliness, such odors usually stem from cleaning products loaded with harsh chemicals that can be toxic to people, pets and the planet. Opt for green-labeled cleaning products or mix up your own using non-toxic baking soda (an abrasive), vinegar (a disinfectant), and lemon (a deodorizer). These alternatives are accessible, inexpensive, and better for your health. Learn more at Earth911.com. Re-examine your public transit options and consider biking or walking, both of which are essentially free and benefit your wallet and your waistline. If you can’t abandon your car entirely, explore rideshares and find ways to reduce auto trips. Learn more at BikeToWorkInfo.org or MapMyRide.com. shower curtains, cookware, and furniture, can seep into your living space. That compromises indoor air quality, which can cause health problems and exacerbate respiratory ailments. So carefully consider what you bring home. plastic container, could cause harm.